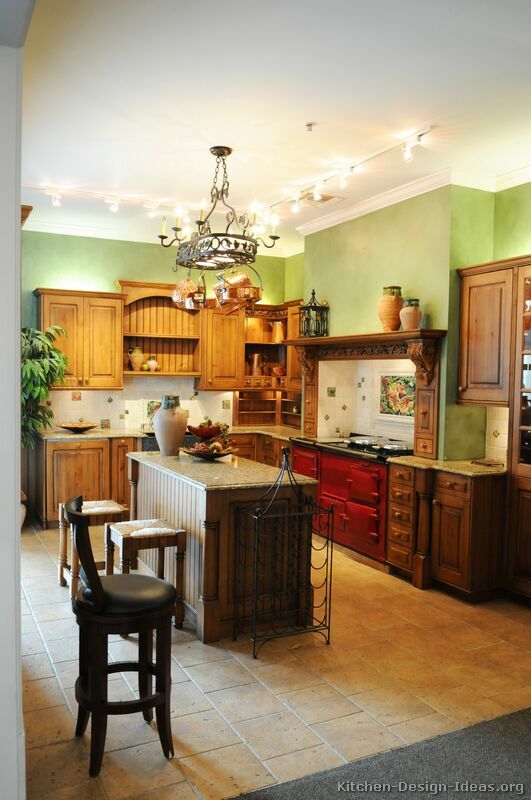 Warm Welcome: This traditional Italian kitchen design stands out with a welcoming palette of colors. 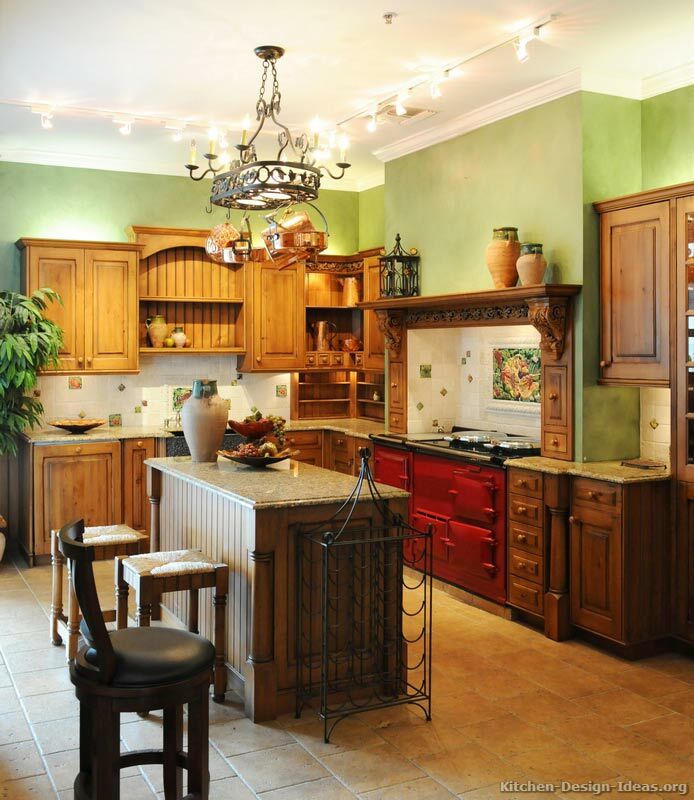 Golden-brown cabinets, light green walls, and a red AGA stove contribute to the overall kitchen color scheme. A Home Aglow: Tumbled travertine floors compliment the beige granite countertops and wood cabinets, while both under-cabinet and over-cabinet lighting make the room glow. 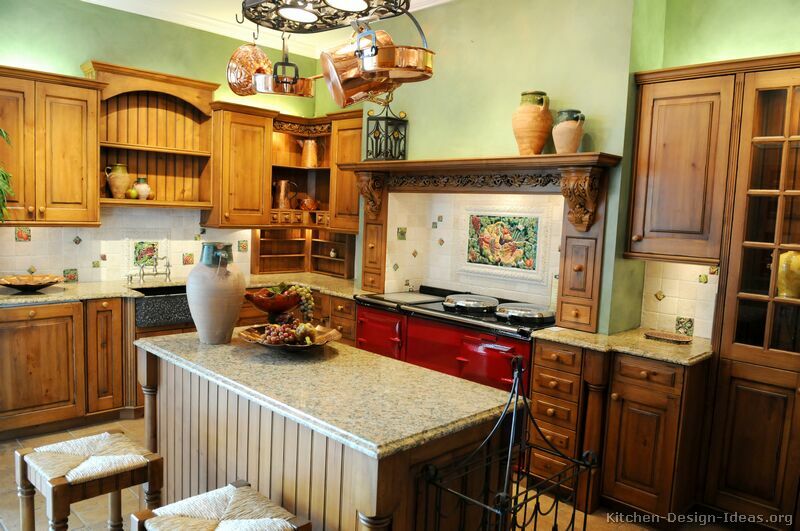 Italian Kitchen Decor: A wrought iron chandelier doubles as a pot rack over the small island, while a mantel style range hood decorated with wood carvings serves as a shelf to hold pottery.